I make a 180 degree pivot after taking the previous photo and see the moon setting, braced by tree limbs and hydro lines. Taken together, a lovely way to start the day. The nearly full moon caught my eye this morning. The brisk crosswind which caught my arms and legs made it impossible to hold the camera steady. 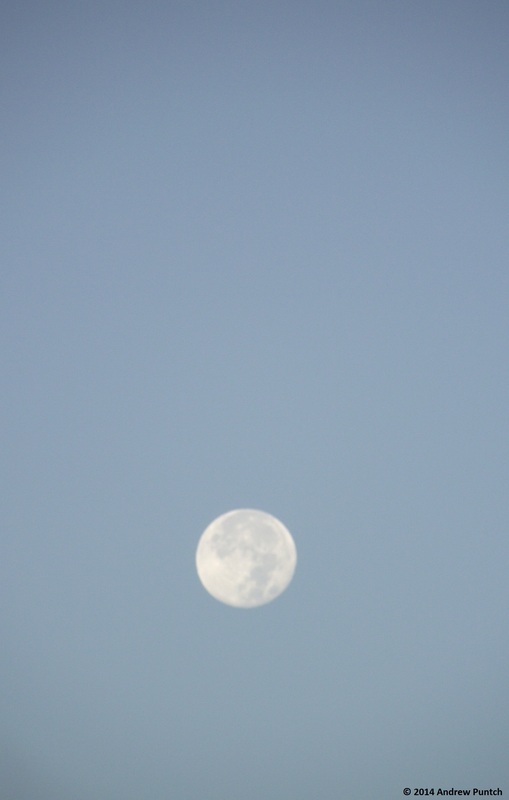 This mornings’ full moon was an amazing, irresistible opportunity to stop and reflect on art and beauty. After capturing the sunrise in my previous post I turned around. Here is the magical scene that greeted me.What a wonderful morning, what a blessing, what a rich man I am.
. . . no, not moonrise. 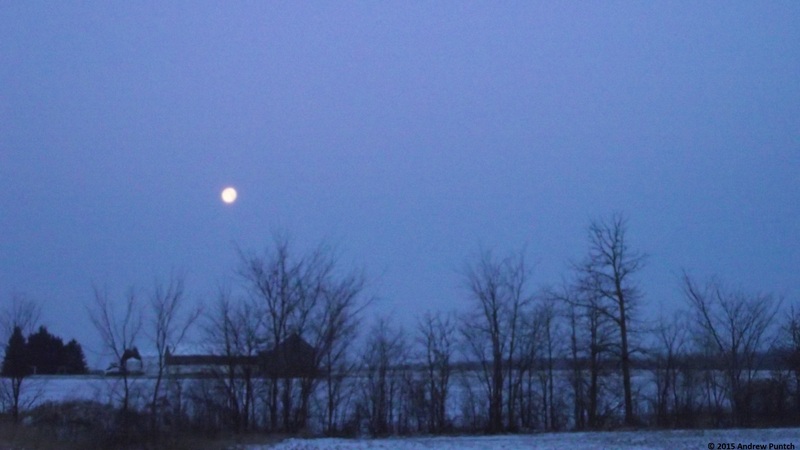 Moonset, gauzed by nearly invisible fine, falling snow. 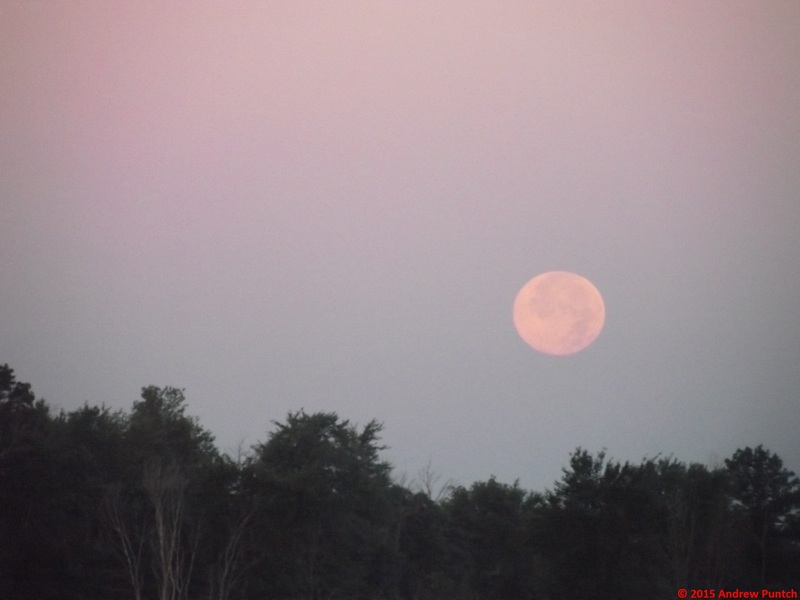 Author andrew puntchPosted on January 7, 2015 January 6, 2015 Categories LandscapeTags art, dawn, Lambton County, moon, Moonset, rural landscapeLeave a comment on Moon . . . I chased the moon this morning. It beckoned to me to keep driving, keep going, keep trying to catch up. Regrettably, I was compelled to end the chase. The chase will continue.